Out of all my perfumes, this one definitely wins the prize for best packaging! It comes in a beautiful white cardboard box, with a blue ribbon which you pull out like a drawer to reveal the perfume. As the name suggests, the perfume smells very green, with notes of bergamont, geranium, damask rose, lavender and patchouli. For me, it opens with a very zesty citrus scent, then develops into something a little more floral, and finally settles to a warm botanical scent with hints of wood. As you can see from the photo, the perfume comes in a old style glass bottle, with a rounded glass lid, that reminds me somewhat of Chanel perfumes- simple yet timeless. I normally go for sweet fruity floral scents, so it's not my usual fragrance, but since receiving the perfume, I've worn it nearly everyday as it's so easy to wear and I like that it's sophisticated yet at the same time very uplifting and unique. Have you tried this perfume? What's your favourite perfume this Spring? I love the packaging its very pretty!! 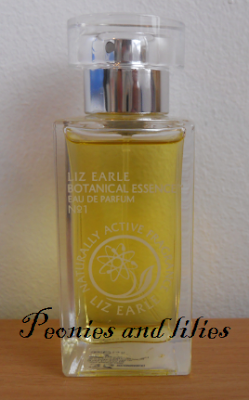 i have never tried any liz earle perfumes!! its not the products that first comes to mind when i think of them but i am very interested in this..i know liz earle is a great company !! Had a sniff of this when I was in the Slone Square store the other week. It's a gorgeous scent, so fresh. 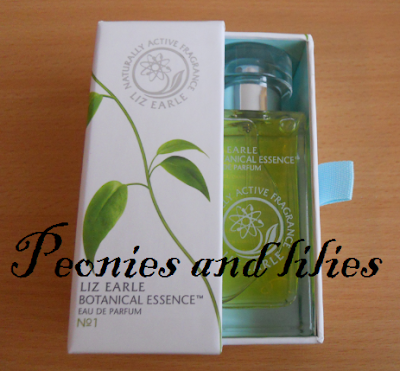 We dont get liz earle in india...but that packaging is super pretty and fresh looking.